Today was the first day working in my new classroom. I first had to take everything out of my old room and move it to the new room. I put my tables in groups and then started working on the walls and organizing my classroom library. I had several of my cheerleaders helping me out today which was very nice. There is no way I could have accomplished all that I did today without them. So I'm linking up to Monday Made it to show how my room is going so far. 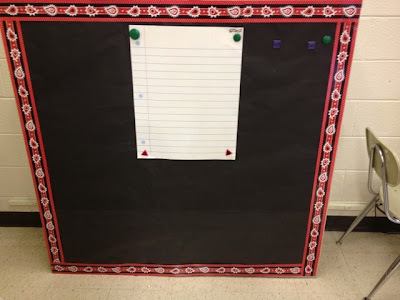 I'm most excited about the filing cabinet bulletin board idea I saw on Pinterest. It is simply two filing cabinets pushed together with bulletin board paper taped on it. The magnets work great on it, so I am going to use it to display class and school news. I also made an Instagram bulletin board today. This was another idea I found on Pinterest. I couldn't find pictures of the exact buttons on Instagram so the bottom navigational bar I created using shapes in Pages. 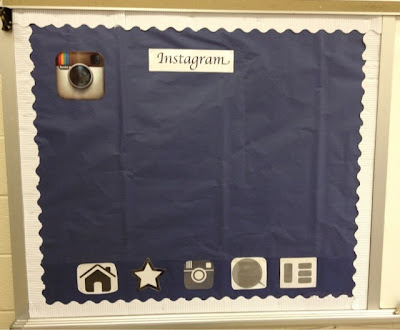 I plan on using this to showcase student work but for the first days of school I'm going to have students bring in their actual Instagram photos to put on the board as a way to get to know everyone. I may even do a "Throwback Thursday" and have them bring in baby pictures. 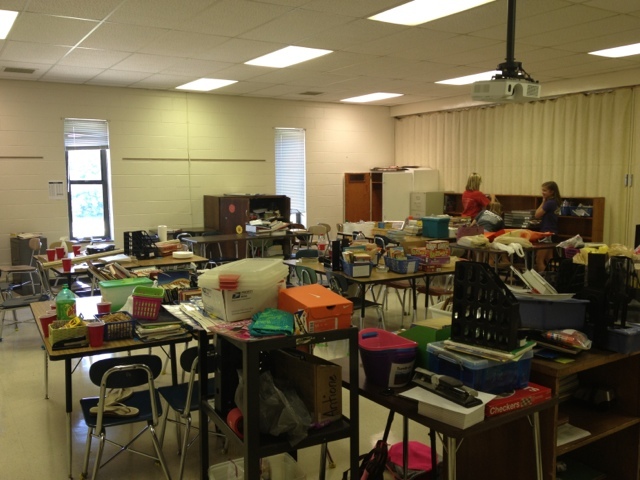 By the end of Day 1, my classroom looked like a tornado went through it. However, I am completely reorganizing my classroom library so for now books have to be everywhere. I am looking forward to getting my tables cleared off and being able to see clean floors again. 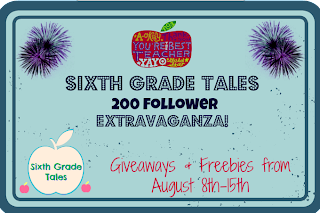 Finally, don't forget to enter my 200 Follower extravaganza! Click here to go to the post where you can enter to win a $10 Target giftcard or a TpT bundle! I have been adding free products to my Teachers pay Teachers store. My newest addition is a worksheet to practice spelling with. I will be laminating these for students to use during free time or homeroom to practice spelling words.